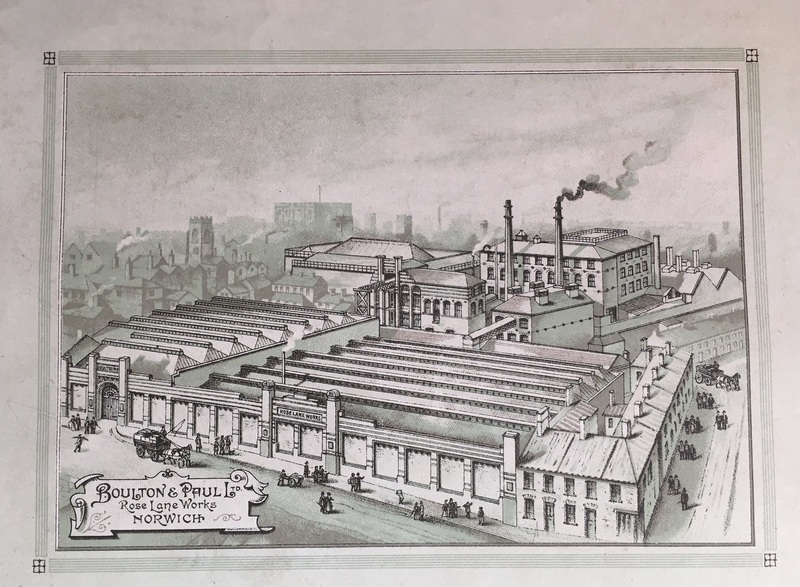 One of a number of major long-lasting Norwich companies, Boulton and Paul came into being in 1869, although the company had existed in various forms since it originally opened as an ironmonger’s shop in the centre of Norwich in 1797. By the early 19th century the proprietors had started making stove grates – the beginning of a manufacturing business that was to exist in the city for almost 200 years. In the mid-1860s William Staples Boulton was the sole proprietor of the business, but this didn’t prevent him from opening a small factory that included a foundry in Rose Lane in 1865 and a few years later he sold the original ironmongery in order to concentrate his attention on the manufacturing business. 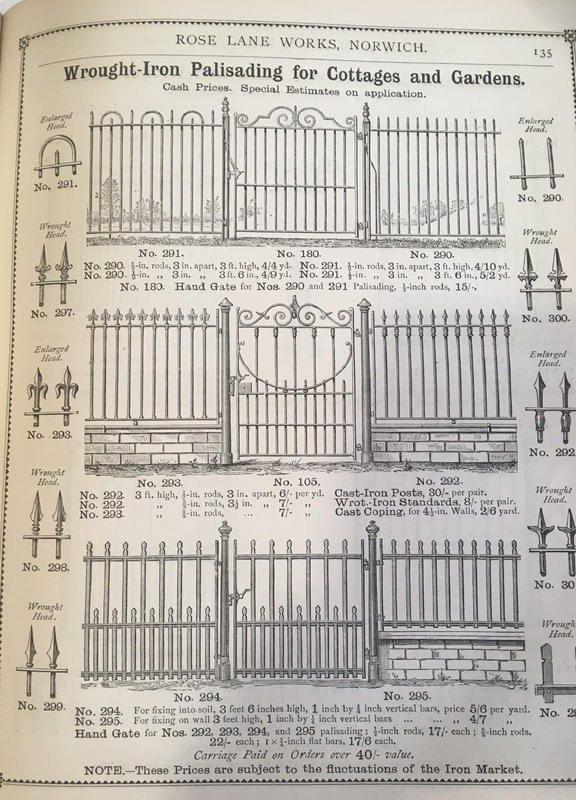 In the 1860s a wide range of products was being made, including domestic, agricultural and horticultural implements, iron hurdles, fencing, park gates, garden chairs, iron bedsteads, kitchen ranges, hot-water systems, railings, palisades and wire-netting, which was to become a staple product for decades to come. In 1869 J. J. Dawson Paul, who had started working for the company in 1853 as a 12 year old apprentice and risen to the role of factory manager, was taken into partnership by the proprietor William Staples Boulton, with the company being renamed Boulton and Paul. By the early twentieth century, the company had added to their range of metal products and boasted a carpentry, smithy and fencing workshops and a galvanizing plant within their site. They were now famous internationally for their pre-fabricated wooden buildings including dog kennels, aviaries, garden-houses and even bungalows and metal products and buildings ranging from wheelbarrows to conservatories, glasshouses, orangeries, vineries and palm-houses. Dawson Paul, running the business alone after the death of William Boulton and the dissolution of an unsuccessful partnership during the 1880s, eventually appointed Henry Fiske as manager. Like Paul, Fiske had worked his way up through the company and proved to have an excellent business brain which was ready to face the challenges and opportunities of the new century, which he proceeded to do after Paul made him his partner in 1893. 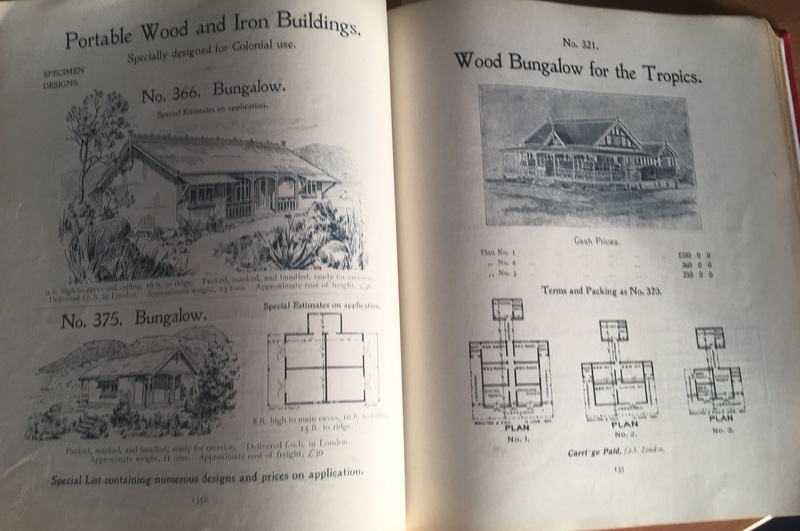 With the variety of pre-fabricated buildings in the catalogue, and customers around the world, business was booming and orders for bungalows were received from South Africa, South America and elsewhere, with teams of staff often being sent out along with the shipments to erect the buildings on site. Even though these wood and iron buildings were selling so well, Fiske and his son William, who was also rising through the company, realised that a rival material – steel – was becoming established as a mainstay in construction. The decision was made to open a ‘constructional engineering department’ in 1905 on the Rose Lane site, however its potential was not fully realised and after some time it was transferred across the river to a site leased from the railway company at Thorpe Yard, where light steel structures for agricultural use such as barns were the main output. By this time there was also an Engine department, making motor boat engines for the developing market that had been identified. Initially it appeared that the First World War might be bad news for Boulton and Paul, with telegrams and letters cancelling orders flooding in during the first weeks of August 1914, resulting in teams of workers from around the country and further afield having to abandon construction work in progress and return home. Very quickly, however, the War Office started issuing drawings of barrack huts and stables required for camps in the south and west of England, with invitations to tender for their supply. The designs were judged by Boulton and Paul to be defective in various ways, but suggestions for improvement were rejected, so the company chose to supply large numbers of doors and windows to the agents who had taken on the contracts – at better rates than would have been quoted for direct supply to the War Office. The Admiralty was soon placing orders with the company, initially for a Naval Hospital at Dover and then for the creation of extra office space in London, which was achieved by raising the building’s original flat roof in order to insert another floor below it. In September 1914 Boulton and Paul submitted quotes to the War Office for the supply and erection of huts and stables in 11 camps spread throughout Norfolk and Suffolk. Much to the managers’ surprise, all eleven tenders were accepted, prompting a whirlwind period when accommodation for 6000 men and 6000 horses had to be manufactured, transported and put up within less than three months. Astonishingly, all the work was completed in time, and a number of extra buildings, ordered as work progressed, were also completed within the contracted period. Almost all of the 1500 men employed on this enormous project were taken on specifically to work on it and did an amazing job, overcoming the difficulties of lack of transport to bring in the building materials; the pilfering of timber from sites by soldiers wanting to build fires to get warm and dry; and the dreadful working conditions of flood and mud caused by the atrocious weather during the building period. Other war work carried out included the supply of buildings for a prisoner of-war camp in Jersey; hangars for the Royal Flying Corps and buildings at the Royal Aircraft Factory in Farnborough; steel framed buildings in arsenals and dockyards, and warehouses in various locations throughout the country. Several hangars were sent to France, accompanied by teams of staff to erect them. Many more buildings for naval and military purposes were supplied and erected throughout England, including 16 in a gunpowder factory in Kent. 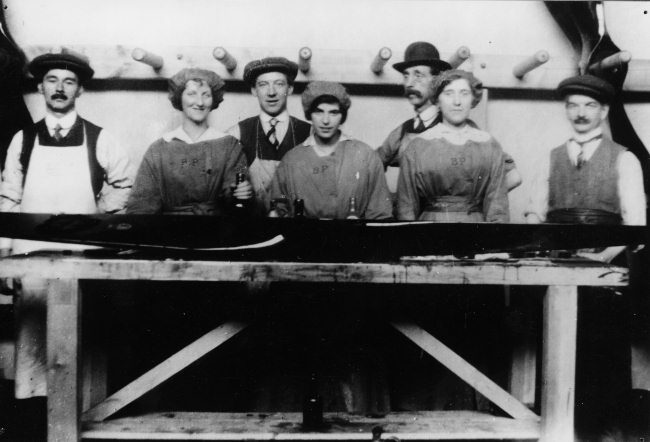 The Fencing Department diversified and produced a range of items including field kitchens, drum barrows for telegraph wire, water carts and sack barrows and the Engine Department made electric lighting plant for mobile workshops and portable pumps for trenches as well as marine engines for naval launches. Probably the company’s most exciting contract was awarded in 1915, when they took on the role of aeroplane manufacturers. Boulton and Paul’s directors were concerned that their workforce should be contributing to the war effort as much as possible, so they offered their services to the government for whatever war work might be required. Having undergone official inspection, the War Office asked if they could make aeroplanes. An agreement was made with Stanley Howes, whose engineering business was based in Chapel Field, and representatives from both companies went on a fact-finding visit to the Royal Aircraft Factory at Farnborough, which led them to conclude that they were capable of taking on the task, and so contracts were signed. Boulton and Paul undertook the woodwork on these planes, using the Rose Lane Works and a mix of their own skilled workmen together with as many capable recruits as could be found – many of these had already enlisted, and were found in army camps throughout East Anglia: they were given the choice of staying with their units or returning to the factory floor, where they remained in uniform and were known as R.C. (returned colour) men. In the event of military emergency, the employers of these men would receive a cipher telegram which would prompt them to give the R.C. men rail travel vouchers and instructions on where they were to go. 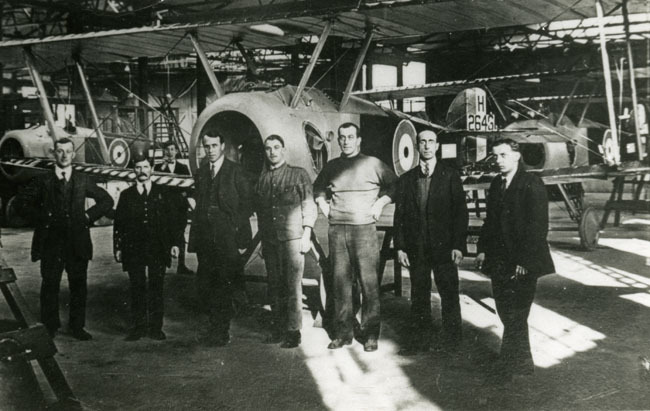 Stanley Howes’ men were to install the engines in the completed fuselages, but the location of his workshops meant that another venue was needed for the planes’ final assembly, together with an airfield from which the finished aircraft could take off. Initially the plan was to use the new Aircraft Acceptance Park that the War Office was building at Thetford, but William ffiske succeeded in convincing representatives from the War Department that with a small amount of work, the Cavalry Drill Ground at Mousehold Heath would make an excellent airfield. 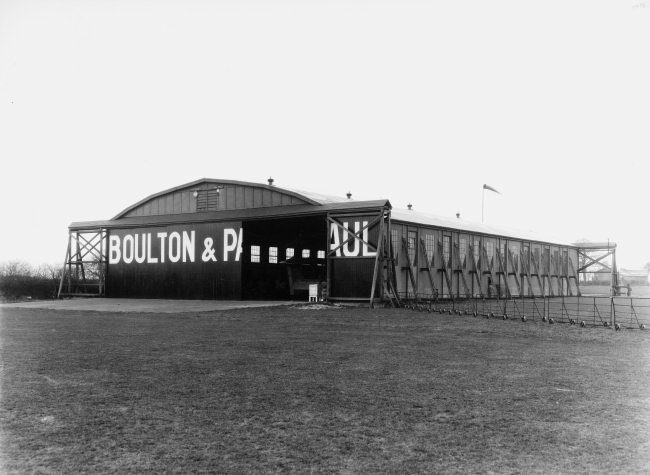 The result was that Boulton and Paul were soon invited to tender for all the buildings required at the site, and duly erected them in record time: they were occupied by the Royal Flying Corps, which set up a School of Flying Instruction in them. By October, 1915, the first aeroplane had been completed and when, after some initial problems with firing up the engine, it made its maiden flight, it reached the dizzying speed of 60 miles per hour! Once production of the first 50 planes was progressing smoothly, another order for 100 was placed, with a request for a speedier supply time. 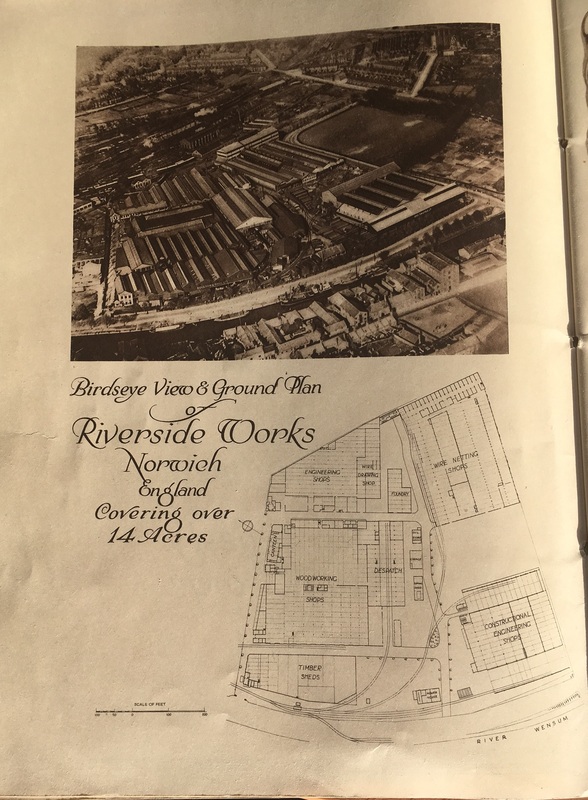 Since there was no space to expand the Rose Lane Works, the decision was made to build a new factory on land on the opposite bank of the River Wensum that the company had bought from J. J. Colman & Co. This site was marshy and had to be drained before buildings could be erected, but work proceeded quickly, with the buildings ready for occupation in three months and a smooth transfer of all machines and materials taking place in just one week, so that the workforce could start work in the new premises, christened Riverside Works, at Easter 1916. 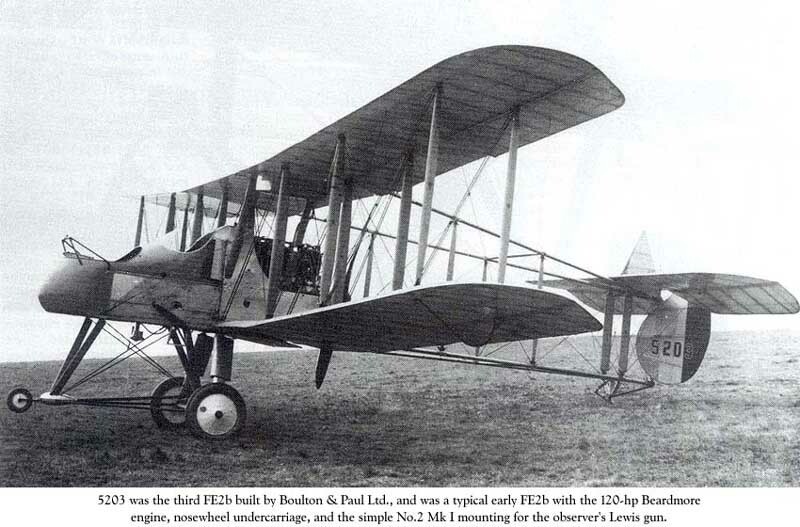 In total, Boulton and Paul built 550 FEs, then moved on to produce 1,550 Sopwith Camels, followed by 425 Snipes – a modified and improved version of the Camel. A handful of other modified Camels were also made for American pilots. Before the war ended, the company was asked by the Seaplane department of the Ministry of War if they could build the hulls of flying boats. Even though this was a totally new product for Boulton and Paul, it was agreed that the work was manageable, especially if a significant order could enable economies of scale to be made. The order was forthcoming, with an agreement that if any of the 50 hulls contracted for proved to be unsatisfactory, payment would not be made. A mass production unit was set up, with 10 hulls being worked on simultaneously, resulting in their completion and delivery before any other contractor had delivered two. The scale of war work undertaken by Boulton and Paul, and the uncertainty of obtaining adequate supplies of components led the company to adopt the policy of making everything except the engines and armaments, in-house. Although this was more expensive than relying on sub-contractors, it meant that there were never any delays due to the lack of parts, and the company eventually developed a good business supplying parts to other manufacturers. The company had also taken on propeller manufacture before the move to the Riverside Works, after General MacInnis, the first Controller of Supply, had mentioned the need for more expert manufacturers to take on this specialised process. By the end of the war, Boulton and Paul had produced 7,835 propellers of various types. If you’re wondering what became of the wire netting business, it went from strength to strength during the war, as it was used in revetments to help support trench walls from falling in; laid down in the desert to provide a firm surface for soldiers to march over, and erected and covered with camouflage to screen troop movements from the enemy. 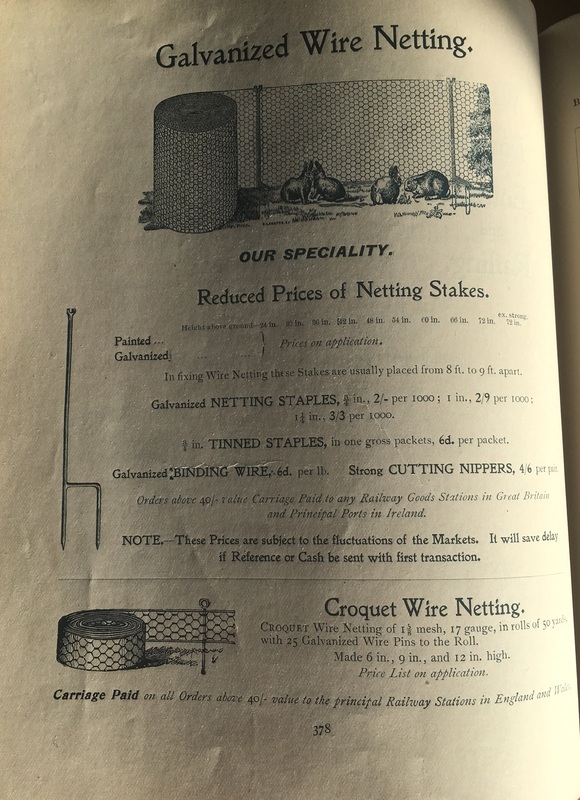 By 1918 the company had produced more than 5,300 miles of wire netting! Post compiled by Clare, Local Studies Librarian. This entry was posted in Local collections and tagged aeroplanes, local industry, Norwich, WW1. Bookmark the permalink. I have a copy of my grandparents marriage certificate. They were married in Norwich in 1919. In the space for occupation for my Grandma Emma Thirkettle (nee Marrison) it says aircraft.No other information.I was wondering if she worked at this factory. Is it possible that Boulton and Paul had a staff register for staff that worked there during world war 1.